Corporate Events and Mini Conferences. Do you want students who are? Yes, our schools program can help you to achieve this. We have many years of experience in serving a varied selection of schools from all sectors, delivering exceptional outdoor learning experiences. We can guide less experienced school teachers through the process of booking and arranging a visit to our centre from start to finish. Programmes can vary in length from 1 day to 10 days and everything in between. Most of our school groups range from Year 4 to Year 13, but we do work with some younger groups on a limited programme. All programmes are designed to achieve the customers’ objectives and are flexible to meet the individual needs of the young people, the changing environment, and their aspirations. An overriding objective from all our customers is that groups and individuals have fun, try new things and bond together, but we know that your group can and will achieve so much more. We will help you identify these things and mould the programme to suit your group. We will happily come out and meet you in your school environment, even help with a parents evening if you wish. Many useful documents are also available on this website. Programmes and experiences can be designed to be just at the right price for your school. Call us now and we’ll get started 017684 82233 or email enquiries@patterdalehall.org.uk. 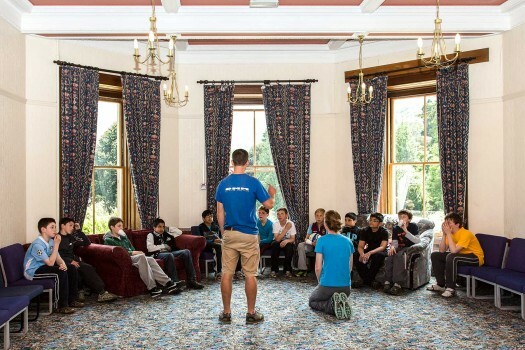 Our year 6 pupils have attended for Adventure Learning at Patterdale Hall for over 15 years. We have always found the structured experiential learning programmes to work excellently at developing self confidence, teamwork and leadership skills, whilst setting them up well to transition to secondary school. Using a challenge by choice ethos and high staff ratios the activity tutors are able to individually challenge our pupils, so that they all take the most away possible. I highly recommend Patterdale Hall.